1766-1813. He was born on 28 February 1766 at Lewknor, Oxfordshire, the third son of a local curate, Reverend James Beaver, and of his wife, Jane Skeeler, also the daughter of a vicar. Having lost his father in 1777 at the age of eleven, and with his mother near destitute, Beaver went to sea under the patronage of Captain Joshua Rowley in October, and was a midshipman with this officer aboard the Monarch 74 at the Battle of Ushant on 27 July 1778. In December he followed Rowley, who had by now raised a commodore’s broad pennant, to the Suffolk 74, Captain Hugh Christian, going out to the Leeward Islands, and he transferred with Rowley when he hoisted his rear-admiral’s flag in March 1780 aboard the Conqueror 74, Captain Thomas Watson, thereby participating in the Battle of Martinique on 17 April. Further service followed under Rowley in the Leeward Islands and at Jamaica aboard the Terrible 74 and Princess Royal 90, both commanded by Captain John Thomas Duckworth, and on 2 June 1783 Beaver was promoted lieutenant by his patron. For the next four years he lived with his impoverished mother at Boulogne in an attempt to learn the language and also out of financial necessity, but this proved to be a somewhat wanton existence and it was only on the intervention of his elder brother, a clergyman, that he threw himself into furthering his education. In December 1789 Beaver resumed his naval service with his appointment to the sloop Fortune 16, Commander George Blagdon Westcott, before being paid off at the end of the Spanish Armament in November 1790. During the Russian Armament of 1791 he was employed from April to September aboard the Saturn 74, Captain Robert Linzee. Having become acquainted with the abolitionist movement, the industrious Beaver next became associated with a plan to colonise the island of Bulama near Sierra Leone with freed slaves and business associates in the expectation that it would provide a similar industry and revenue to that enjoyed by the Caribbean islands. After transporting the expedition to the island in 1792 the leadership of the venture fell upon his head following some early mishaps and the withdrawal of its directors, but as the prospective colonists shared neither his dedication nor work ethic they were withdrawn in November 1793. He returned to England on 17 May 1794 and received a commission for the Stately 64, Captain Billy Douglas, which ship was about to depart for the East Indies with a convoy. In 1795 the Stately joined Rear-Admiral Sir George Keith Elphinstone’s force and was present at the conquest of the Cape on 16 September. She then proceeded to the East Indies with the intention of joining the attack on Colombo, but the reduction of the Sinhalese port having been achieved before her arrival she was sent instead to cruise off the Isle de France. On 10 August 1796, whilst sailing to the Cape, the Stately fell in with Rear-Admiral Elphinstone off Cape Agulhas at the very southern tip of Africa, and within two hours Beaver, who had the deck for the indisposed Captain Douglas, prevented the vessel from foundering after she was taken aback and almost cast on to her beam ends in a heavy squall. Noting Beaver’s seamanship skills, Elphinstone seconded him to the flagship Monarch 74, Captain John Elphinstone, in which he sailed back to England as her first lieutenant, arriving via Bantry Bay in January 1797. 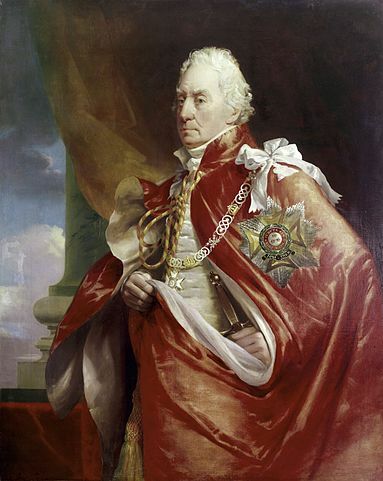 Beaver saw further service under Vice-Admiral Elphinstone, who had now become the ennobled Lord Keith, and Captain Elphinstone aboard the Monarch in the Channel Fleet, and was present at the Spithead mutiny which erupted on 16 April 1797. During 1798 he was the first lieutenant of the Formidable 90, Captain James Hawkins Whitshed, and he removed as first lieutenant to the Foudroyant 80 with Lord Keith and Captain Elphinstone when the former sailed to take command of the Mediterranean fleet in November 1798, thereafter transferring with both officers to the Barfleur 98 off Cadiz in February 1799. 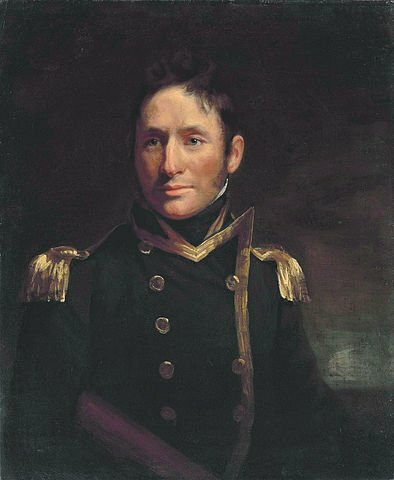 On this vessel he had cause to bring the junior lieutenant, Lord Cochrane, to trial for disrespect, although the latter was acquitted and Beaver admonished for having taken the matter so far. On 19 June 1799 he was promoted commander of the hospital ship Dolphin 44, and in September he was appointed to the prison-ship Aurora 32 armed en-flute, which he retained until the following March. He was then appointed acting assistant-captain of the Mediterranean Fleet to Lord Keith, in which role he was to receive great praise for his meticulous planning. He commanded the bomb-vessels and boats of the fleet at the bombardment of Genoa which resulted in the surrender of the city on 4 June 1800, during which campaign he boldly cut out the 36-pounder galley Prima 2. Fully expecting promotion, he was sent home overland via Cuxhaven with despatches and arrived at the Admiralty on 25 June, but it was to his misfortune that Napoleon’s victory at Marengo returned Genoa to French control, and he went back to the Mediterranean fleet without having been posted captain or receiving any award, as was usual in such cases. Beaver was highly regarded by Admiral lord Keith, and served him in several capacities. In September 1800 the Aurora under his command was at Lisbon, and shortly after rejoining the fleet Beaver was promoted by Keith to the acting command of the flagship Foudroyant 80, his posting taking effect from 10 February 1801.He was the captain of the fleet during the Egyptian landings on 8 March, and in August exchanged with Captain John Clarke Searle to take command of the frigate Déterminée 24 in which he visited Constantinople, receiving gifts and honours from the Sultan on this occasion but declining pecuniary reward. His frigate was paid off at Portsmouth on 19 May 1802 following the end of the French Revolutionary War, and having settled at Watford in Hertfordshire he declined the command of the frigate Alligator 28 because he could not afford a peacetime posting with a family to feed. Following the resumption of war with France Beaver was placed in command of the Essex Sea Fencibles in July 1803, a post he held for three years, during which time he submitted plans for an attack on Boulogne, a town he knew well from his earlier time living there, and which harbour he scouted out from a fishing boat after taking passage on the bomb Prospero. During this period he wrote his Bulama memoirs, and in 1805 his work ‘African Memoranda, relative to an Attempt to establish a British Settlement on the Island of Bulama, on the western coast of Africa, in the Year 1792’ was published. In September 1806, having relocated his family to Swansea and made several applications for employment, Beaver was given command of the eighteen-pounder frigate Acasta 40, going out to the Leeward Islands in the following February but immediately being diverted to Halifax for repairs. Once back in the West Indies he was sent to the Spanish Main where he captured the French corvette Serpent 18 under the guns of the Spanish forts of La Guayra on 17 July 1808, the latter refusing to protect their ‘allies’ as the corvette had brought the disturbing news of the usurpation of the Spanish throne by the Buonaparte family. The captured vessel was bought into the service as the Pert. Beaver superintended the disembarkation of Lieutenant-General Sir George Prevost’s five hundred troops in the reduction of Martinique in February 1809, and he flew a broad pennant during the capture of the Saintes in April. Here he placed a howitzer team ashore to drive out Commodore Gilles Troude’s squadron, resulting in the capture of the Hautpoult 74 on 17 April. In November he arrived back at Barbados from another visit to the Spanish Main where his diplomatic skills had been put to good use. Unfortunately the £3,000 prize money he made on the station was lost when his Barbados prize-agent died whilst insolvent. After returning home with a convoy in early 1810 Beaver commissioned the new frigate Nisus 38, sailing for the East Indies in June. Later in the year he superintended the army landings in the Isle de France campaign which had commenced in July, and he then served at the capture of Java on 18 September 1811. During 1811 and 1812 he was off Mozambique and the Madagascar Coast, but whist at Table Bay he took ill of a mystery ailment, supposedly enteritis, and he died in great discomfort on 5 April 1813. Beaver married a Miss M T. Elliott at Gibraltar in 1800. His early death and the failure of his agent left his widow and six orphans in difficult straits, and although his friends tried to assist her she resorted to finding employment as the long-term matron at the Greenwich Royal Hospital School. A very energetic, able and resourceful officer who was an expert on combined operations, Beaver was well read, having consumed an entire Encyclopaedia Britannic on one voyage. He was seen as being strict and unforgiving, demanding the best of his officers and men with a fussy attitude to etiquette which he carried to the point of ‘despotism’ according to Cochrane, who also thought him a ‘toady’ to Admiral Keith but not tyrannical. Cool and calm in action, he was certainly a notable officer who cared more for having been seen to do his duty than making money. He had a long standing debility caused by an illness that he had contacted in Batavia.